Indie games that have interesting takes on puzzle-solving have been far from uncommon in the past decade. Thanks to the likes of games like Portal, Braid, The Talos Principle, The Witness, and more, the ways that we engage with solving puzzles in games have taken on increasingly complex and fascinating forms. 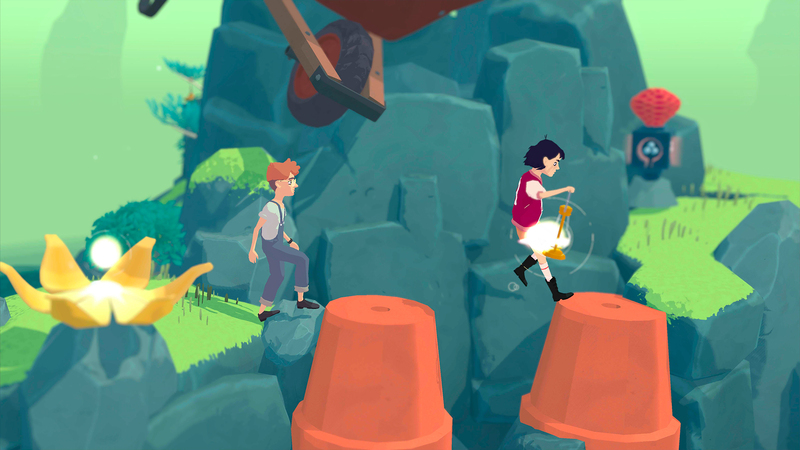 With the upcoming The Gardens Between, the charming indie game looks like it is delivering a particularly unique angle when it comes to solving puzzles through the manipulation of time. 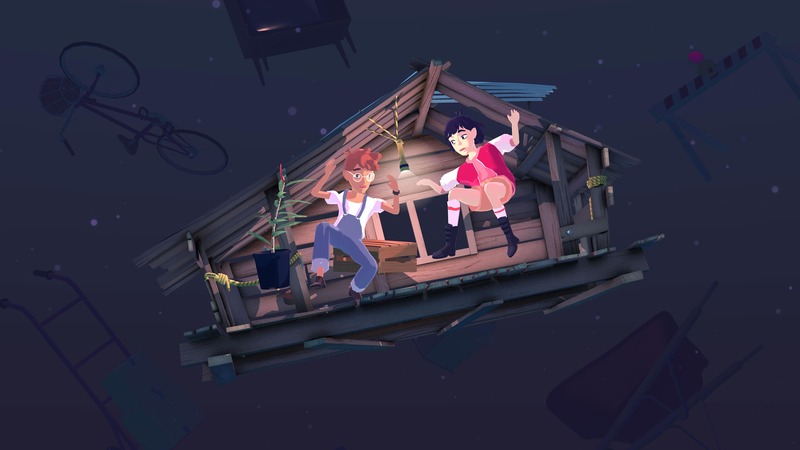 During PAX East 2018, we had the chance to check out a demo of The Gardens Between, which is the next project from the Melbourne, Australia-based studio The Voxel Agents, which previously worked on the Train Conductor series. The game itself is a puzzle-adventure title, where you guide a young boy and girl — a pair of best friends named Arina and Frendt — through a series of rotating puzzles and simply seek to work their way through the literal “gardens between” their ultimate destination. What’s most immediately noticeable about The Gardens Between are the lush visuals and art style. The game itself stretches over the course of numerous diorama-like islands, and having played through a few of the game’s levels, the game’s visual variety and art is striking and beautiful. As it calls to mind the elegance and minimalism of games like Journey and Monument Valley, The Gardens Between has a serene, relaxing quality to it. Even when some of the puzzles got a bit more intricate, I couldn’t help but admire the details and presentation that each level offered — with one of my favorites being a level where you had to go through a video game-inspired world where one of the environmental objects jumped into the screen emerged in 8-bit form. Gameplay-wise, the most exciting thing about how The Gardens Between plays though are the controls: you don’t directly control either of the game’s protagonists, and instead you use the left analog stick to control the flow of time. Instead, think of it like fast-forwarding and rewinding through a VHS or cassette tape: pushing right on the analog stick will advance the characters (and flow of time) forward, while moving it to the left rewinds what is happening in real-time. Where the puzzle mechanics come into play is that while you are rewinding and fast-forwarding the action, each of the characters have their own unique interactions with the environment, and that is primarily where the puzzle-solving in each environment comes into play. Arina, for example, holds a lantern that has to be lit by the puzzle’s end, and is where (in most of the of the puzzles that I played) you will guide both characters to the end of the puzzle. Frendt, meanwhile, can interact with objects like levers and more to trip specific environmental objects and items, which will manipulate or alter how the flow of the puzzle will play out when you either fast-forward or rewind. 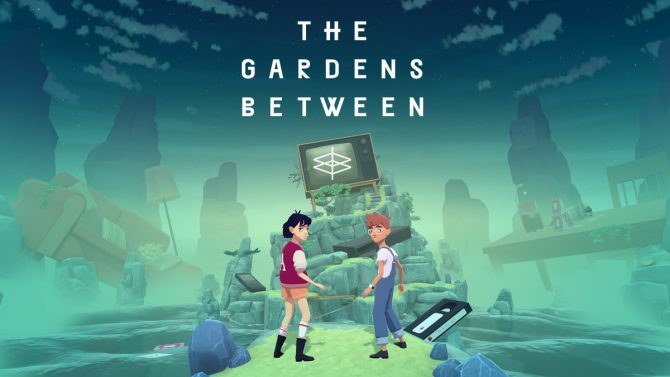 Even in the few levels that I played at PAX East (which seemed pretty early on in the game), I could already tell that The Gardens Between has an interesting time-bending mechanic at play that I’m sure gets progressively more complicated as the game goes on. However, what impressed me with its time-rewinding and forwarding mechanic where the numerous ways that I had to rethink not only where I was moving and positioning the characters to advance, but also the sequence and order of making the puzzle’s events happen to reach the end goal. 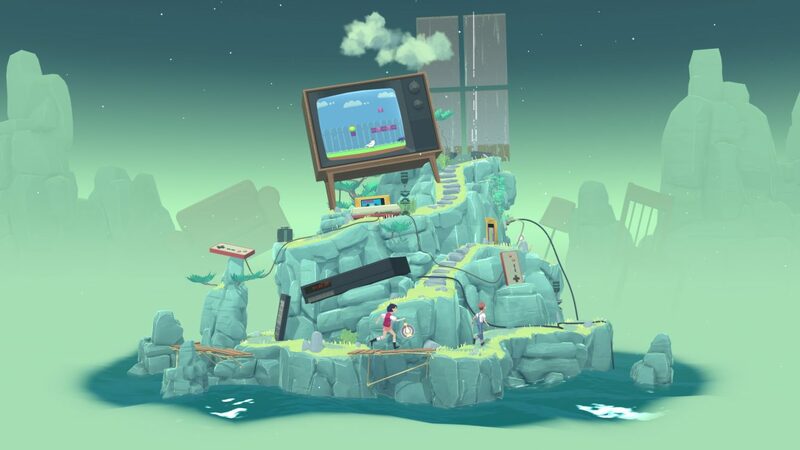 For example, one of the levels featured a worn-down television screen at the top of the island, with a VHS tape player below it. One of the puzzles, naturally, involved not only the time mechanic, but with Frendt in the right position near it, I could have him push a button and fast-forward through the tape to eject it, creating a bridge that both characters could then work their way up through the island’s mountains and reach the final area. Other puzzles also involved more precision and timing-based obstacles, and it was interesting to see the ways that The Gardens Between was mixing up the styles of puzzles it introduced throughout each level. Several levels, for instance, featured quirky jumping boxes that would often grab light (the fuel for Arina’s lantern), and many of the puzzles revolved around either trying to intercept the boxes to catch the light for Arina’s lantern, or figuring out ways to deter obstacles or barricades so you could grab the light from them on the other side of the map. 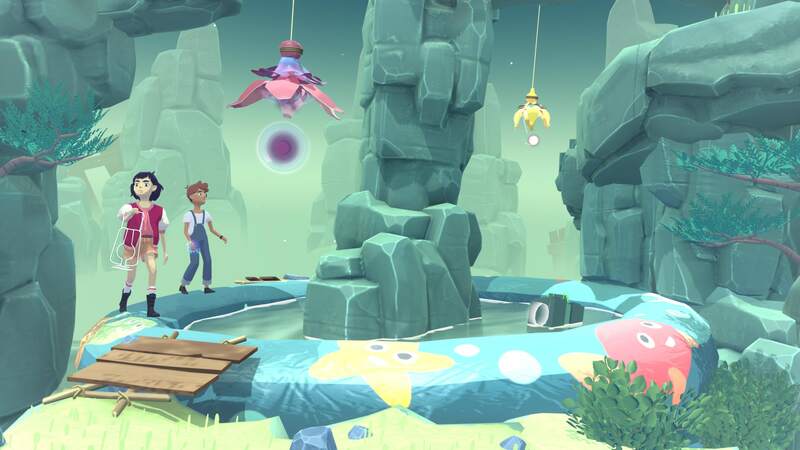 Overall, The Gardens Between so far showed a lot of similar mechanics to solving its puzzles, but also showed variety in how players had to approach them and figure out new ways of solving simple puzzles and challenges. While I hadn’t heard a lot about The Gardens Between before attending PAX East, my time demoing the game made it an indie title that I plan to keep my eye on when it releases later this year. 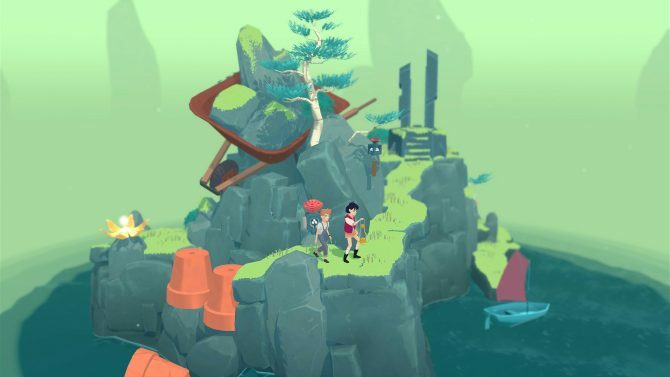 There’s certainly a lot of DNA that players might find from some of the best indie games from the past few generations like The Witness, Braid, or Monument Valley in its combination of puzzle-solving and traversing through its levels. 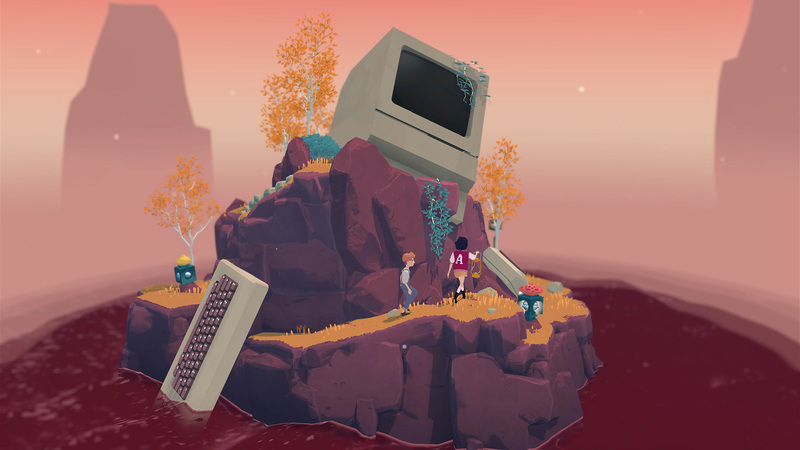 But more than that, The Gardens Between immediately grabbed me with its tone and striking visuals, and while it doesn’t seem like it may be an exceptional challenged compared to some of the earlier games that I mentioned…I think I’m okay with that. Honestly, I would love to spend more time in the serene, lovely world that The Voxel Agents seems to be crafting in The Gardens Between, and whether the game takes just a few hours or dozens of hours to complete, I’ll cherish the world and setting it is building regardless. The Gardens Between will release for PS4, PC, and Mac later this year.